It was a wet and muddy start to the Motocross of Nations at Redbud in Michigan today, October 6, and qualifying for tomorrow’s race did not go well for the Americans. Eli Tomac DNF’d the first MXGP moto with an “electrical” issue, and Aaron Plessinger crashed in the MX2 moto while in contention for the win. He had to settle for 11th. However, it wasn’t all bad for Team USA. Justin Barcia looked good in the mud and took second in the Open class. As a result, Team USA finished out the day ninth overall. The winners on Saturday were Italy’s Antonio Cairoli in MXGP, France’s Dylan Ferrandis in MX2, and The Netherlands’ Glen Coldenhoff in the Open division. In team classification, The Netherlands, with Coldenhoff, Jeffrey Herlings and Calvin Vlaanderen, lead the way after qualifications. The team took top honors by one point over Italy (Cairoli, Michele Cervellin, Alessandro Lupino) and France (Ferrandis, Gautier Paulin, Jordi Tixier). Team Puerto Rico (Ryan Sipes, Kevin Windham, Travas Pastrana) finished 24th (out of 30 teams) and did not qualify for the A Final. They instead will compete in the B Final. Sipes was the team’s best finisher in 14th (MX2); Windham was 21st in MXGP, and Pastrana DNF’d in the Open class. 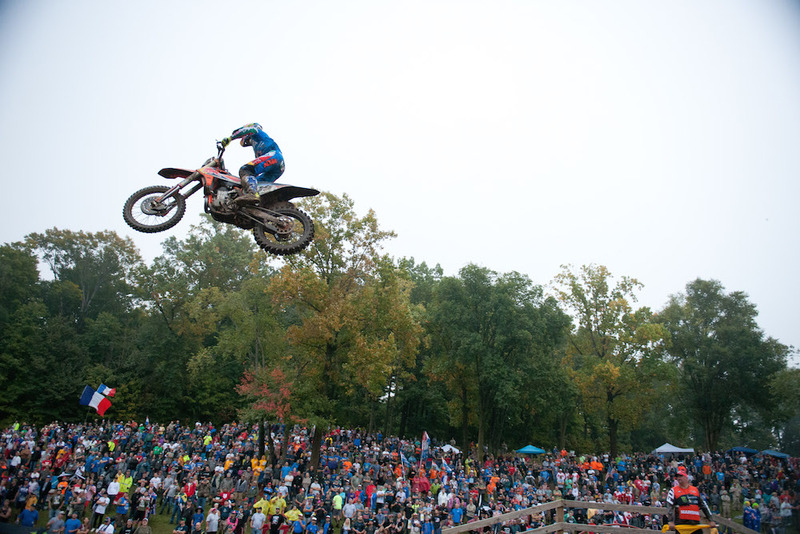 Check back for more news from RedBud. Click here for all of the latest Motocross of Nations news.